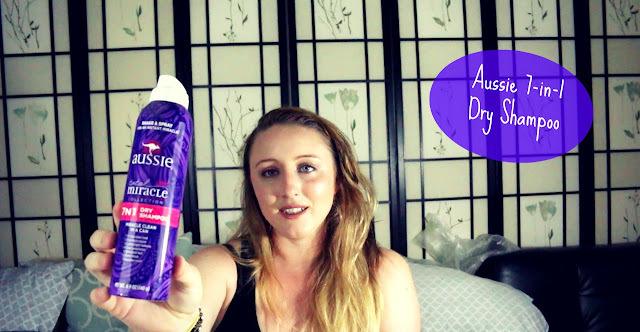 The first thing I noticed about this Dry Shampoo was the scent, the bottle claims its a very pleasing scent but to me it actually smells like cherry cough syrup, which is not something I enjoy when I’m sick let alone walking around smelling like. 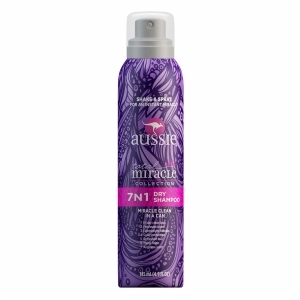 Then after spraying the product in my hair I learned there would be an even bigger reason to never purchase this again, it literally made my hair feel hard and I was unable to even run my fingers through my hair let alone try and actually work the product into my roots. In fact my hair was so hard and I was struggling to run my brush through my hair so much that I grabbed the bottle and read the label again just to make sure I didn’t accidentally buy hairspray (and yes I did shake the bottle before using). After using the product and finally getting it worked into my hair I noticed that my hair looked really dull and felt really straw like, which is not normal for my hair and that I think has to do with what they called the Matte finish, which I was hoping was going to be something really cool like matte nail polish but unfortunately it means it makes your hair look and feel dry and damaged. Writing this review was actually really difficult for me as I am a HUGE Aussie fan and I use their products on a regular bases, in fact I would go as far as to say they are my favorite hair care brand, but I have always strived to give 100% honest reviews, so while I will not be purchasing the Aussie Dry Shampoo again I will continue to use my shampoo and conditioner. I happened to be Vlogging the day that I used this so i inserted that clip into my video review which you can see here.